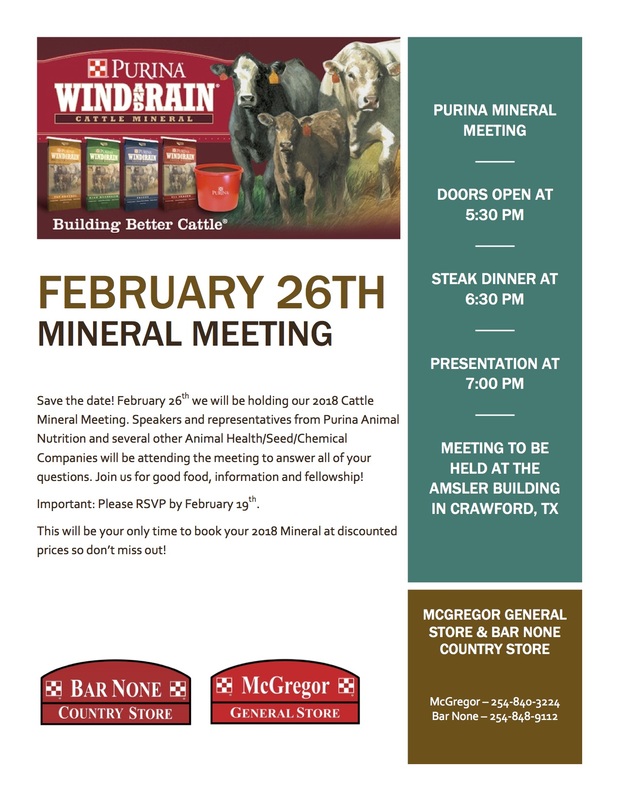 Cattle owners, the 2018 date for our annual Cattle Mineral Meeting at The Amsler Building, 6735 Avenue G, Crawford, TX 76657 is Monday, February 26, 2018. We loved using this fabulous space for last year’s meeting, so we are doing it again. Join us for good food, a steak dinner, important information and fellowship. Speakers and representatives from Purina Animal Nutrition, and other great vendors will be in attendance. 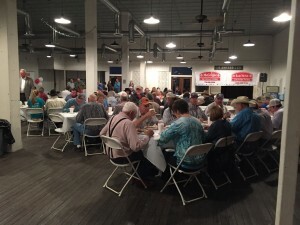 With beef cattle prices still relatively good, you don’t want to miss this meeting. This will be your only time to book your 2018 mineral at discounted prices, so you don’t want to miss out. Click here for a map to the Cattle Mineral Meeting location. This entry was posted on Monday, January 8th, 2018 at 5:13 pm	and is filed under Cattle, Events, News & Updates. You can follow any responses to this entry through the RSS 2.0 feed. Both comments and pings are currently closed.